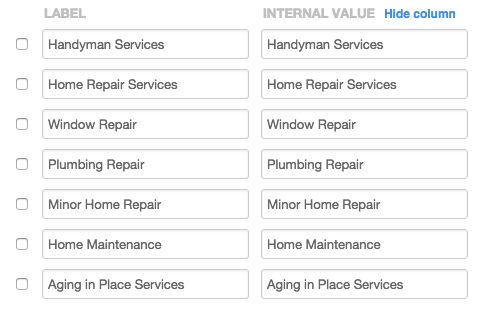 The main difference between the label and the value is that the label is what you see within the system itself (or also on the web form if the field can be used in such a feature). In other words, this is what your users or customers will see as the name for the field. The value, on the other hand, is what systems read as the name of a field. This can be identical to the label but frequently this is different such as being all lowercase instead of having any uppercase letters like the label might have. Values often have dashes (-) and underscores (_) in the name as well. It's important to understand the differences as in some cases when you are mapping two types of select fields from one system to another in Bedrock Data you are going to be using the fields Value to ensure the data syncs appropriately.